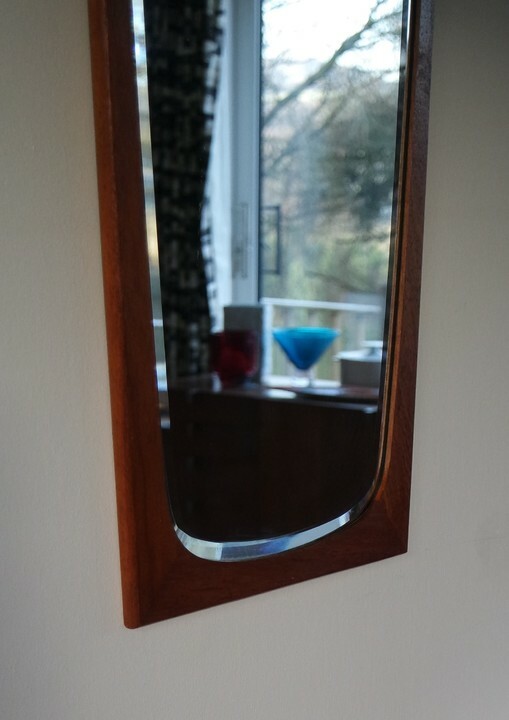 This simple asymetrical 1960s teak mirror, made in Denmark, will look perfect in a hallway. cloakroom or bedroom. It is good condition for its age; the frame has been freshly oiled, and there is one surface scratch on the wood and some minor marking to glass.